Supercars drivers will again have to navigate wild weather on the final day of the Tyrepower Tasmania SuperSprint. Rain is being forecast throughout the day, with thunderstorms also in the vicinity of the Launceston venue. 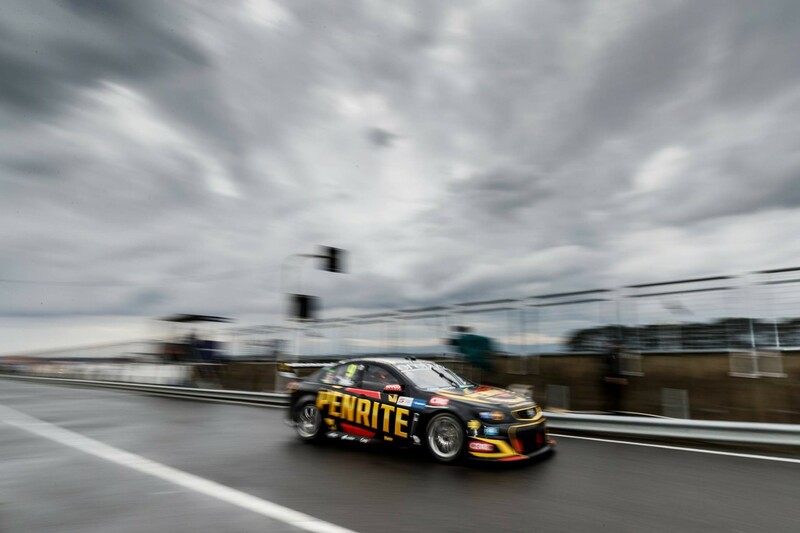 Wet weather produced chaos in both the Virgin Australia Supercars Championship and Dunlop Super2 Series at Symmons Plains on Saturday. Both categories saw heavy crashes on the run between Turns 3 and 4 as drivers fought for grip and track position in the slippery conditions. Four main game drivers will be on the sidelines today including reigning Sunday winner Will Davison, who spent the night in hospital after suffering back pain following the crash. His Tekno Holden joined James Courtney’s Mobil 1 HSV Holden, Rick Kelly’s Nissan Altima and Taz Douglas’ Lucas Dumbrell Holden in proving too badly damaged to be fixed for today. The Mobil 1 HSV and LDM teams focussed on repairing their second cars, while Garry Rogers Motorsport and Brad Jones Racing also committed to overnight rebuilds for their fleets. Supercars.com will have a full update on the progress of the repairs later this morning. Today’s schedule sees Armor All qualifying set for 11:30am ahead of the 200km Race 4 of the championship at 2:05pm. Shane van Gisbergen was declared the winner of yesterday’s race, which featured just a single green flag lap before reaching its time cut-off. CAMS stewards however elected not to award points due to the exceptional circumstances, leaving van Gisbergen’s 51 point championship lead over Fabian Coulthard unchanged. Today’s Fox Sports coverage with begin 15 minutes earlier than scheduled at 10:00am in order to provide a full wrap of Saturday, including comment from Supercars MD Matt Braid.